Quality-focused and efficient Cook adept at preparing and plating food in high energy, fast-paced kitchens. 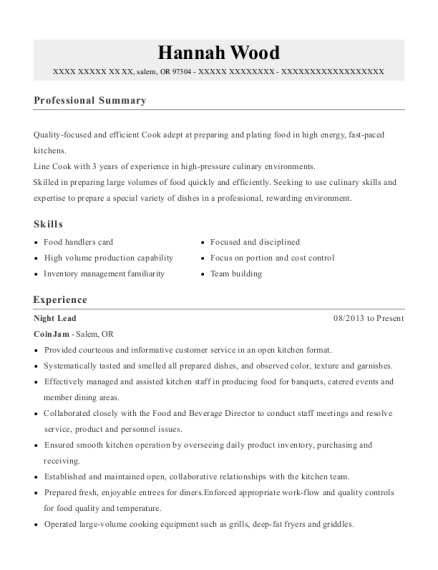 Line Cook with 3 years of experience in high-pressure culinary environments. Skilled in preparing large volumes of food quickly and efficiently. Seeking to use culinary skills and expertise to prepare a special variety of dishes in a professional, rewarding environment. Effectively managed and assisted kitchen staff in producing food for banquets, catered events and member dining areas. Collaborated closely with the Food and Beverage Director to conduct staff meetings and resolve service, product and personnel issues. Prepared fresh, enjoyable entrees for diners.Enforced appropriate work-flow and quality controls for food quality and temperature. Set up and performed initial prep work for food items such as soups, sauces and salads. Cook high volume of food in proper time. Keep track of food temperature. Maintain clean and stocked work environment. Keep track of time to ensure duties get done in time. Prep any items we needed. Take orders and phone calls. Train new employees, accordingly with the manager. Maintain clean work environment with cleaning and organizing the work environment. Stock and replace new inventories. Assist customers with questions they had. 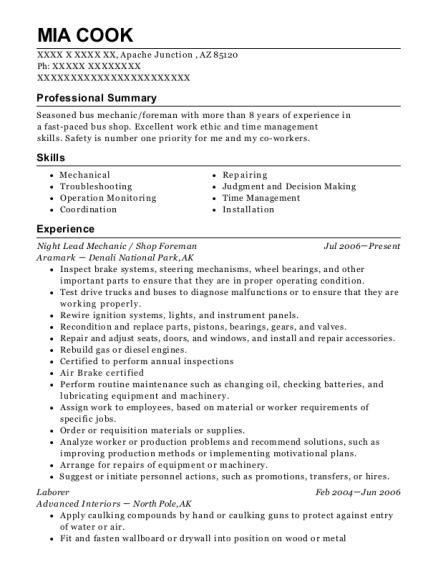 This is a resume for a Night Lead in salem, Oregon with experience working for such companies as CoinJam and Gilgamesh Brewing. 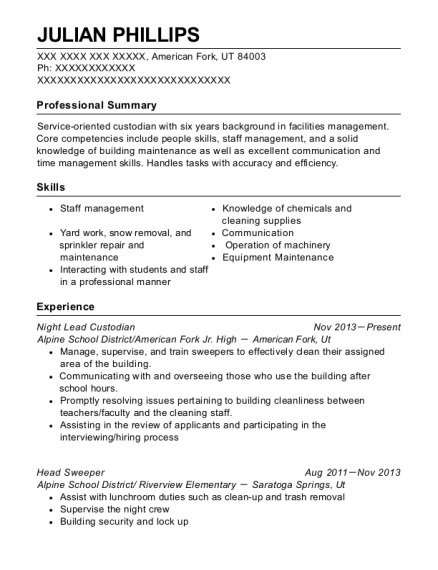 The grade for this resume is 0 and is one of hundreds of Night Lead resumes available on our site for free. 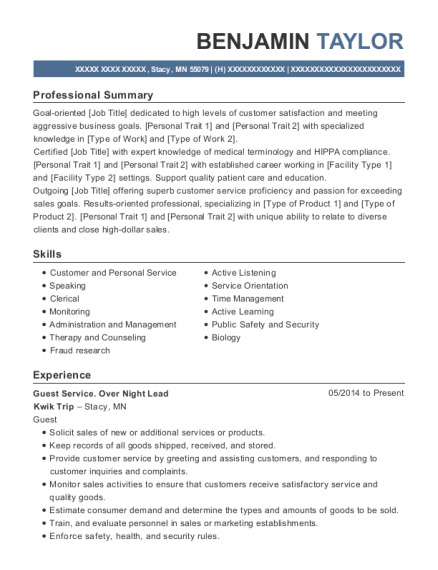 Use these resumes as templates to get help creating the best Night Lead resume.